On Sale Now! Free Shipping Included! Save 6% on the Manduka PRO Yoga Mat & eQua Yoga Towel Set, Black/Thunder by Manduka at Thumz Up. MPN: 846698003202. Hurry! Limited time offer. Offer valid only while supplies last. 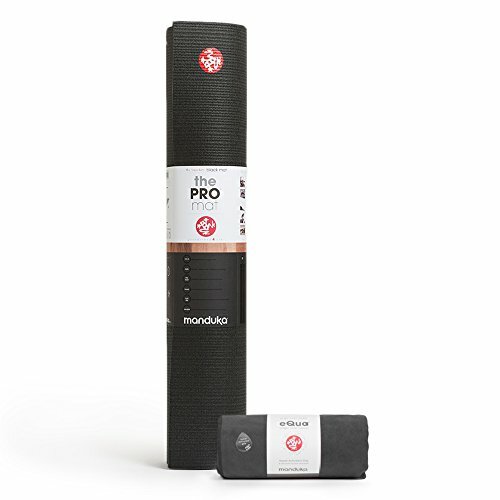 Root down to the foundation of your practice with this timeless kit of Manduka classics Black Mat PRO 71'' and eQua Standard Towel for the yoga pro. Root down to the foundation of your practice with this timeless kit of Manduka classics Black Mat PRO 71" and eQua Standard Towel for the yoga pro. There’s a reason these Manduka favorites have withstood the test of time, and now you can get them all in one PRO package.